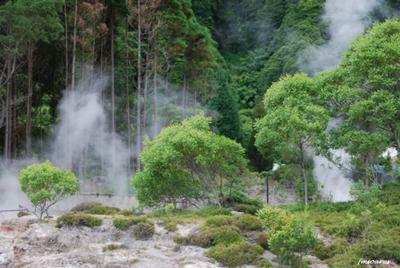 Hot springs on the site of the Lagoa das Furnas, São Miguel. Rob's Reply Furnas is a must see when visiting San Miguel. PS Great to see another picture from you! We share a passion for the islands. Looks like a cool and refreshing moment after a nice and warm rain.